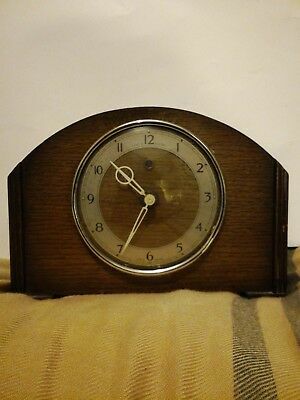 Vitage Art Deco Tenco Mantle Clock ,electric. Unusual christmas present. Seller: annam4471 (232) 97.6%, Location: Shrewsbury, Ships to: GB, Item: 153442534759 Vitage Art Deco Tenco Mantle Clock ,electric. Unusual christmas present. Electric cable provided. Superb condition. Seller - 232+ items sold. 2.4% negative feedback. Good seller with good positive feedback and good amount of ratings. 232+ items sold. 2.4% negative feedback. Good seller with good positive feedback and good amount of ratings.